Just a couple pictures from outside of our home. It is the time of year that you really appreciate the weather and changing of seasons. 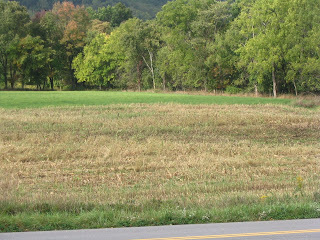 All summer we have had a corn fence and it is gone. So I am feeling exposed to the elements. 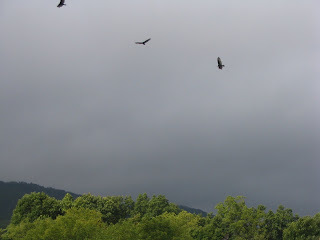 This morning there were huge vultures in the field across from the house. The pictures don't do them justice. 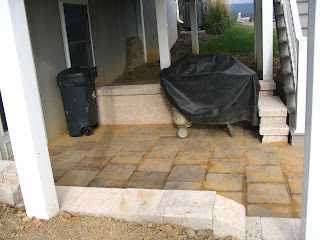 We are reducing the amount of mud that enters the house with this patio. Jeff a local lanscaper installed it and it looks amazing. 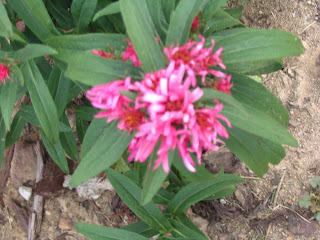 The flowers are a few from around the house. 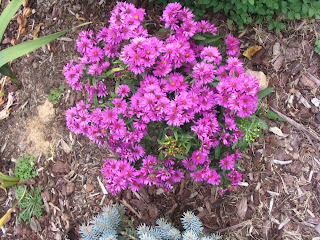 They are perennials so hopefully they will be back next year.